This unique visitor experience takes you on a guided tour through the Waitakere Ranges Regional Park, considered a precious taonga (treasure) and a premier destination treasured by locals and visitors alike. 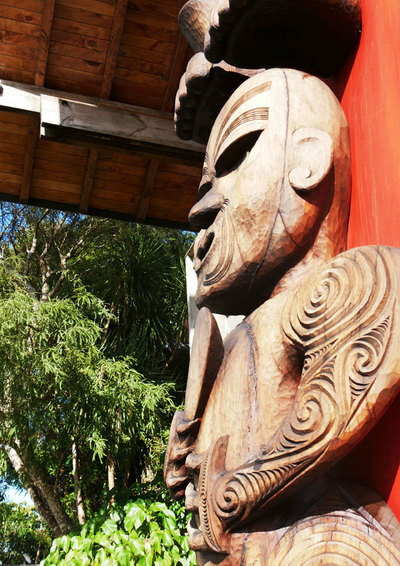 Just 30 minutes from central Auckland and Auckland International Airport the tour follows the fringe of the majestic Manukau Harbour where the famous Tainui waka (canoe) was carried by hand across the Tamaki isthmus (present-day Auckland) and on towards the harbour entrance below the Waitakere Ranges. 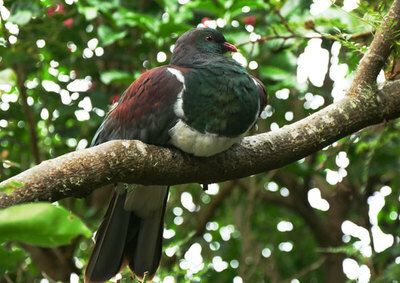 From the city, this popular Auckland tour leaves the urban surrounds into the tranquillity of the inland forests of the Waitakere Ranges towards the beautiful Arataki Visitor Centre. 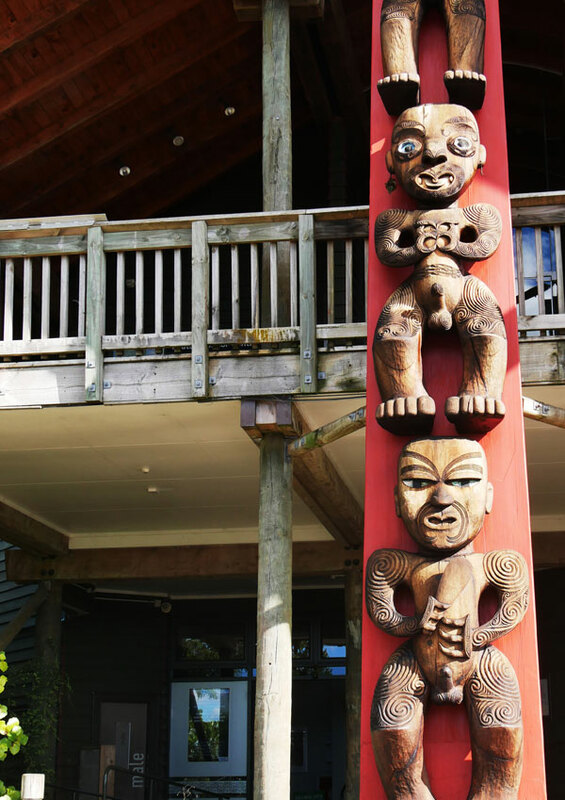 Learn about the traditional carved Maori pou, representing Te Kawarau a Maki ancestors, that stands guard at the entrance to the visitor centre and experience a traditional Maori greeting (mihi) as a visitor to this area. 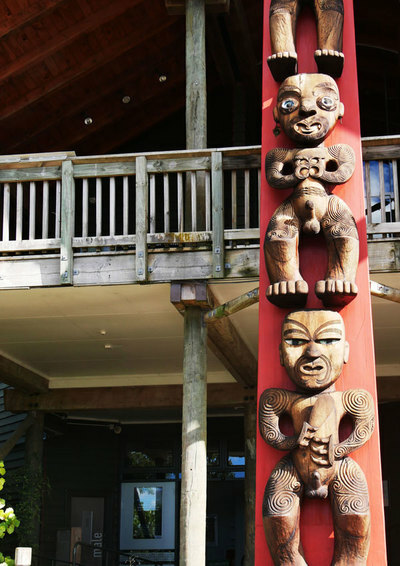 Enter the creatively designed Arataki Visitor Centre which provides historical and cultural information about the area and interactive displays as well as sells books, maps and souvenirs. 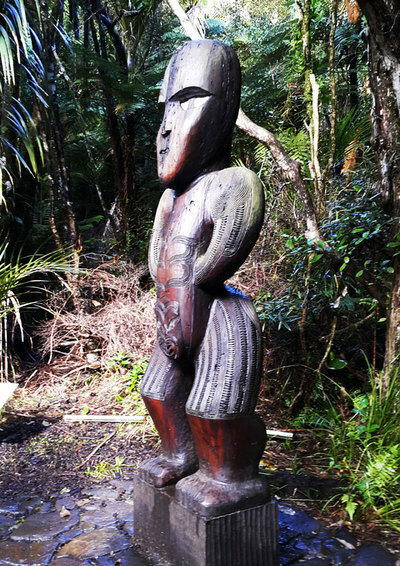 Outside the centre you will experience stunning breath-taking views of rugged bush clad hills, towering cliffs, and wetlands, where primeval kauri (the kings of the forest) stand tall amongst regenerating and mature native trees nestled amongst bush-clad ridges and gullies. Experience easy walking tracks, home to hundreds of plant species and rare native creatures. Inhale the damp earthy aroma of the bush while listening to resonating birdsong and gurgling streams on the way to delicately beautiful waterfalls. From the tranquillity of the inland forest witness the raw power of pounding surf on the famous west coast surf beach called Piha and stand on the endless black sand that seems to stretch forever into the distance.